Location: Santa Elena, on the main Western Highway near the Social Security offices. +- 3100 sq. ft., 10' ceilings, with loading dock, office, and bathroom. Bz $2350.00 per month. 100'w x 30'deep, parking lot. 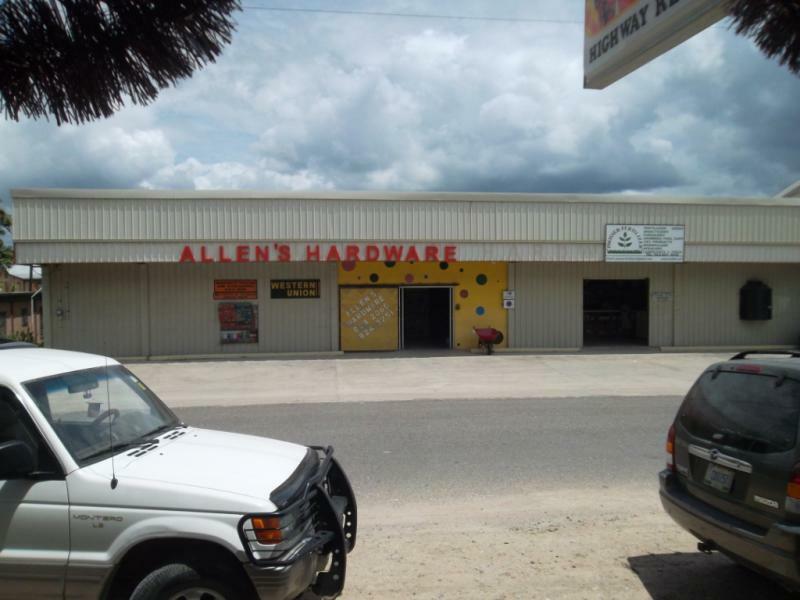 call Rod Allen 824-2060, or e-mail [email protected] Note: If one would buy the hardware business that occupies this space will give a deal on everything,including monthly rent.